Benjamin unexpectedly falls in love with the 2019 BMW M850i. The pair then dissect what, exactly, went wrong with the 2019 Cadillac XT4, an SUV that fails to separate itself from the pack. Finally, Sami straps himself in for a lightning round on the best of the New York Auto Show. Sami's secret Seoul trip continues with the 2020 Kia Soul EV, while Benjamin finally gets some time with the surprisingly strong 2019 Nissa Kicks. Sami flys all the way to Seoul, South Korea, to drive the 2020 Hyundai Sonata while Benjamin heads to Athens, Greece, to try out the redesigned 2020 Land Rover Range Rover Evoque SUV. Benjamin takes a long, long, long roadtrip in the 2019 BMW X7 SUV through the American South, while Sami tries out the all-wheel drive version of the 2019 Mazda 3. Bonus Episode - Star Car Faceoff - X-Files Ford Taurus vs. Stranger Things Chevrolet K5 Blazer. This Star Car Faceoff Bonus Episode pits the Ford Taurus from The X-Files against the Chevy Blazer from Stranger Things. Spooky! Benjamin and Sami both spend a week driving the redesigned BMW X5 and are impressed by its commitment to luxury. 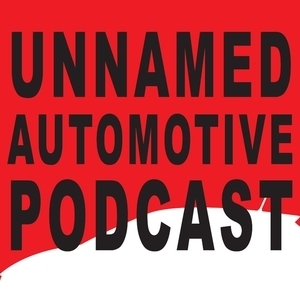 The pair also discuss the full-electric 2019 Jaguar I-Pace crossover as well as what happened when Benjamin drove an all-wheel drive Nissan Altima on trax through a winter wonderland. Sami drives the 2019 McLaren 600LT Spider on the track, while Benjamin pilots the boxy 2020 Kia Soul through snowy San Diego. The paor then compare notes after having driven both the 2-door and 4-door versions of the 2019 Jeep Wrangler Rubicon. Sami drives a plain-Jane 2019 Dodge Charger SXT - you know, the one with AWD and a V6 - and tries to figure out whether it balances affordability with competitive tech. Benjamin spends a week with the 2019 Honda Pilot and is prepared to write it off as another anonymous 3-row SUV until THE BLIZZARD HAPPENS! Benjamin travels to Los Angeles to drive the 2019 Mazda 3, and in the process learns a lot about the human pelvis. Sami spends time with the 2019 Kia Stinger turbo four-cylinder, and doesn't learn anything at all. Will opposites attract? This week's Star Car Faceoff pits a trio of people movers - the Scooby Doo Mystery Machine, the Teenage Mutant Ninja Turtles Party Wagon, and the A-Team van - against each other in a fight to the death. Sami decides that the 2019 BMW M2 Competition is a worthy successor to last year's M2 - and perhaps the best M car money can buy. Benjamin has weird thoughts about the 2019 BMW X4 M40i, an SUV that feigns the M but is still incredibly quick in a straight line. The pair wrap things up with a lightning round from the Detroit Auto Show. The first episode of our Star Car Faceoff series pits each of the Batmobiles vs. the best that the Bond cars have to offer. Who will win? Spoiler alert: we all win!